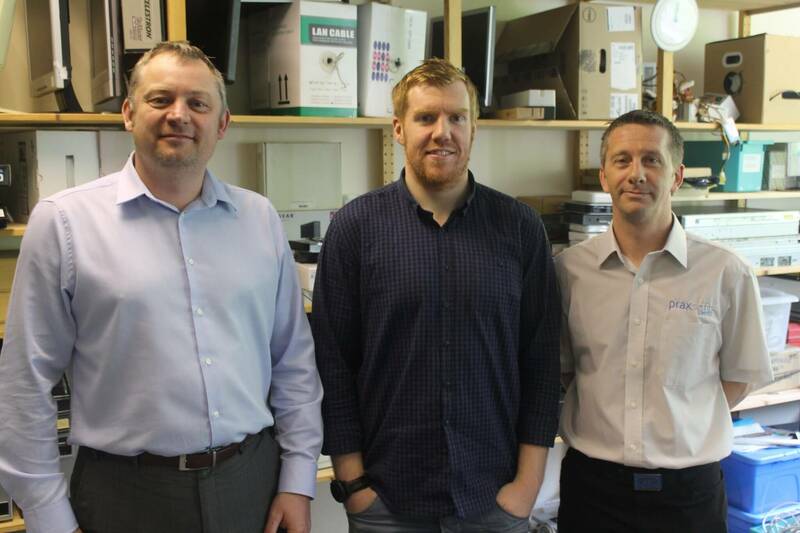 A Barnsley technology company plans to double its client base after setting up a new online customer support system – with a little help from their friends. Active Voice & Data has collaborated with its neighbours Praxsoft and Genius Division ‘all based at Barnsley’s Business and Innovation Centre (BBIC) – to create a new online gateway for its customers. This will allow users to log a problem and track its progress anytime and anywhere. The company, which specialises in telecommunication and broadband solutions, expects its new facility will enable them to give clients a quicker, more efficient service and save them time. Managing director Iain Simpson, who set-up Active Voice & Data 14 years ago, said: “In one fell swoop this innovation will enable us to improve our communication with existing customers and increase our capacity to take on more. When the company had the idea to have a customer relations management (CRM) system they knew they didn’t have to go far to find the expertise they needed to set it up. IT experts Praxsoft were enlisted to help with the background technical work, whilst digital design agency Genius Division was drafted in for the design aspect of the software. All three companies are based at BBIC. They were introduced and supported in getting the idea up and running by BBIC, through Enterprising Barnsley, the business support arm of Barnsley Council. Active Voice & Data’s speciality lies in cloud-based telecommunications system, which is the most secure environment for businesses. The company also offers traditional phone systems and lines, mobile connectivity, broadband and networking. The company currently has a turnover of around £1million and employs eight communications experts and support staff. Their 300-strong client list includes start-ups, small and medium enterprises, large corporations and charities, including The Princes Trust, GoCompare and John Nicholls Group. Active Voice & Data are a working partner with big name telecommunication brands such as Onyx, Gamma and Unify, all of whom have helped and advised in the integration of the CRM software. Managing director Iain was also speaking in Barcelona last month as part of the Global partner community for Unify on how the company are taking voice into the cloud. The company can provide both on-site and cloud unified communications and can supply their services for up to 100,000 users. Kevin Steel, Enterprising Barnsley’s business development manager at BBIC, said: “It’s not only great that Active Voice & Data is integrating a system that is going to help them grow massively over the next couple of years, but also they’ve enlisted fellow Barnsley businesses to help them do this. Active Voice & Data’s new system, which is set to go live soon, will be integrated on the home page of its website. It allows customers to log a problem, in detail, through a designated web portal any time of day or night. Once the office is manned, problems can then be picked up; eliminating the need for phone calls. Customers can then log-on to see updates on the progress of their job as they go along. Iain said: “We’re entering into an age where everybody is online and wants to know the status of problems and how long it’s going to take. This system will allow our customer to log their problem, and then track our work on the solution any time. Attached photograph shows Iain Simpson (Active Voice Data) Craig Burgess (Genius Division) Richard Lees (Praxsoft).